Mechanical lever action. Made of brass. Base of gong, heavy duty cast iron, black finish. Made in the USA. This boxing bell will be heard loud and clear at any fight, construction site, factory, mine or school! 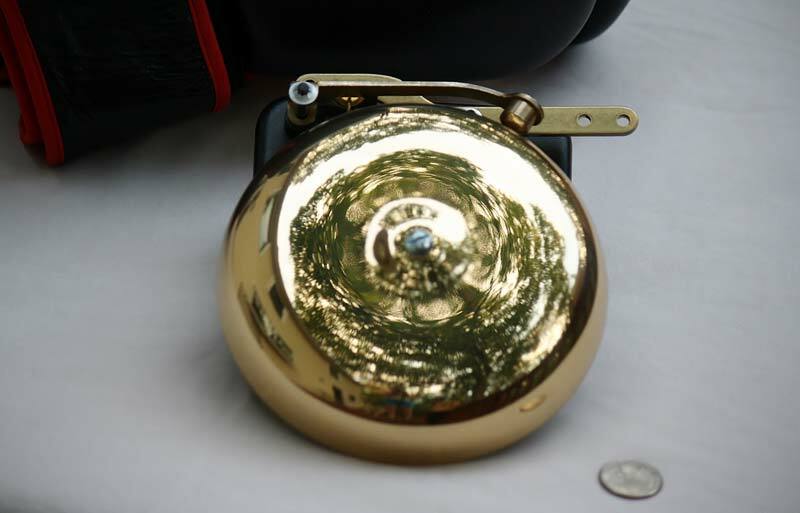 The bell is made of brass and features mechanical lever action. This trip gong has a loud, long ring that can be heard above the noise.